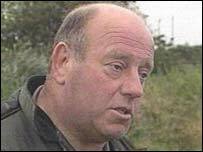 The farmer who led the fuel blockades in September 2000 will take a seat in the Welsh assembly. Brynle Williams from Cilcain near Mold in Flintshire failed to come first in the Clwyd West constituency, but won his ticket to Cardiff Bay through the North Wales regional list. When he announced his intention to stand in the election in June 2001, Mr Williams said he did not know whether it would be as an independent or for one of the main parties. In the end he opted for the Conservative Party. The married father of two has said he wanted to be a champion for north Wales and rural issues. Mr Williams rose to prominence as a spokesman for farmers protesting at the Stanlow oil refinery in Ellesmere Port, Cheshire, nearly three years ago. They wanted the government to recognise the harm they believed was being done to rural communities and hauliers by fuel taxes that pushed the price of petrol much higher in the UK than in Europe. The group picketed the site for seven days and the action sparked similar protests at oil sites around the country. Although the demonstrations caused panic buying and many petrol stations ran out of fuel, there was wide public support. 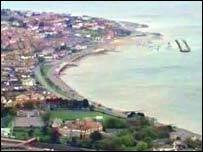 Mr Williams has been involved in previous protests by Welsh farmers, including lively demonstrations at Holyhead where Irish beef was dumped into the sea. The tough-talking sheep and cattle farmer has accused the Labour government in Westminster of forgetting Wales and being mainly concerned with London. He said he was hoping to redress the balance when he took his seat in Cardiff Bay.